Live streaming video, as the name suggests, is a form of video and audio content broadcast in real-time through the Internet. The game matches, special TV events, music shows are all live streams we can find from streaming video sites like Netflix, Hulu, YouTube, Vimeo, etc. In most cases, those livestream videos would have repeat telecast so that we can re-watch them online as many times as we like. But the downside of this way is it will require internet connection and high bandwidth. Therefore, it's painful not being able to watch videos when the internet cuts out. Even worse, for some one-time live shows, it's almost impossible for us to watch those videos again since streaming video services offer neither replay nor downloading options of those live streams. To avoid such frustration, one of the best solutions is to record and save your favorite live streaming videos to computer or mobile devices for offline playback or future use. Thus a great livestream video recording application is in demand. Here we are going to introduce you such a smart screen recorder as well as the complete steps on how to capture live streaming videos on PC with high quality. Fortunately, there are many free tools that offer streaming video screen capture. However, only few of the freeware would work as expected and some of these even turned out to be spams. 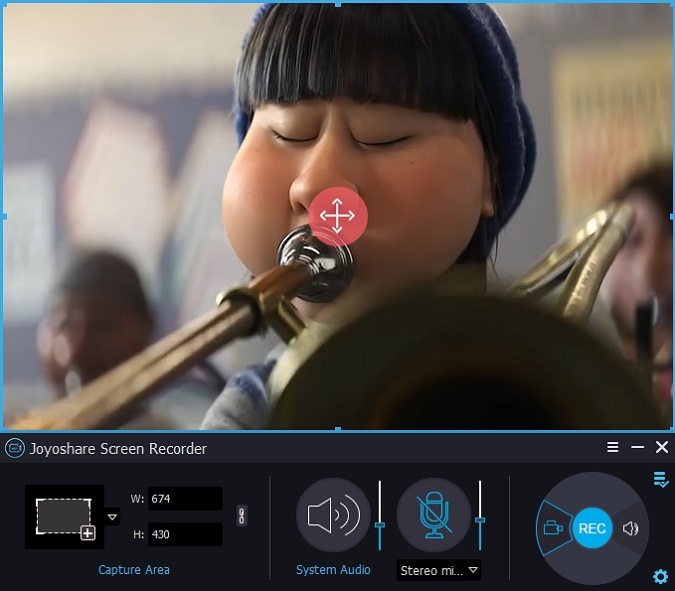 To make your recording safe with high performance, we'd recommend Joyoshare Screen Recorder here. It's the top leading screen capture software for recording online videos as well as any other kind of desktop screen activity on your PC. With this professional screen recorder, you can easily capture any streaming video in lossless quality and save them in any popular format for any mobile device. Convert recordings to MP4, MOV, AVI, MPEG, FLV, etc. Once installed Joyoshare Screen Recorder, you should take some time to get used to the different settings of the app, including the user interface, operation, capture parameters, etc. so as to make sure the recording would go as smoothly as expected. 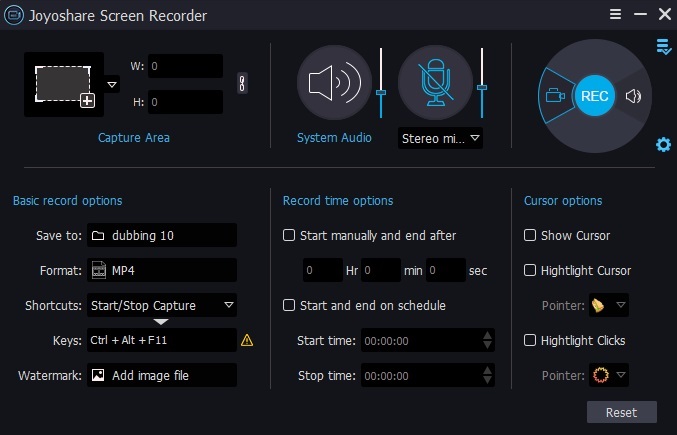 The following is a quick guide to set up Joyoshare Screen Recorder before recording. Double click the software shortcut on the Desktop to launch it. Then you'll see the main window as below. Clicking the capture frame at the left part will allow you to adjust the recording area in full screen or customized frame size. You can also click the drop-down menu next to the recording frame option to select the fixed recording window size, such as 320x240, 640x480, 1280x720, etc. By default, Joyoshare Screen Recorder will record screen video with audio simultaneously. 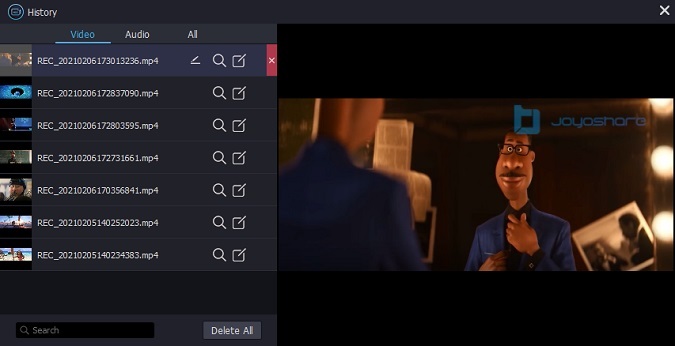 But if you don't want to record the audio tracks while recording the live streaming videos, you can click the audio icons in the middle to disable the audio recording. Otherwise, you should leave it alone. Note: When recording online videos, we'd suggest you turn off microphone audio in case there would be some unexpected noise in the recorded videos. 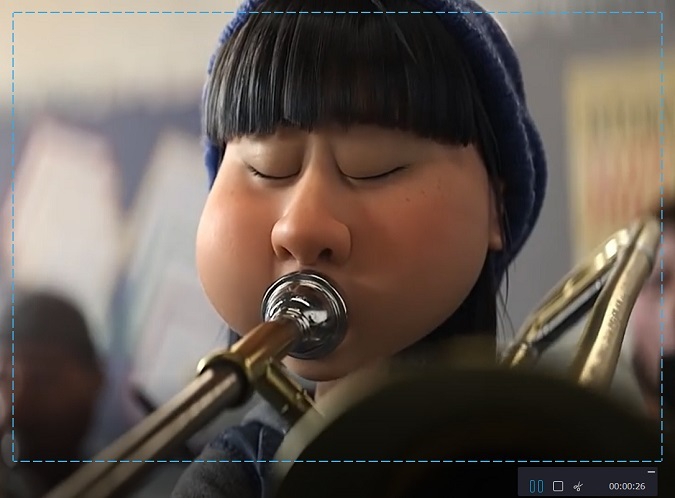 Joyoshare provides other recording options to make your recordings more personalized. Simply click the "gear" icon besides REC button and you'll see the parameters as below. Here you can set output path, format and shortcuts as you like. You can also use the capture timer to schedule the recording with start and stop time set in advance. In addition, if you want to highlight the cursor and clicks, simply check the options accordingly. Now since you've already got familiar with Joyoshare Screen Recorder, let's begin the recording process. Simply open the web page that contains the live video you want to capture. Set the recording area and other parameters, then click the REC button to start recording the screen. It will commence after a 3-second countdown, which leaves you enough time to prepare and hit Play on the streaming video player before the recording process begins. During the recording, you can take screenshots by clicking "scissor" icon. 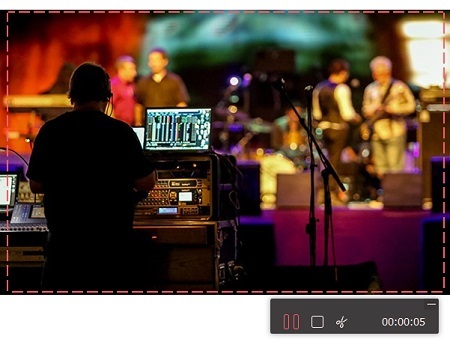 Once captured the streaming video, click Stop button to finish the recording. Then the video will be immediately saved to your hard drive in MP4 or other format you set before. You can also preview the captured material in "history" window and edit the name and ID3 tags of the recordings as you want.